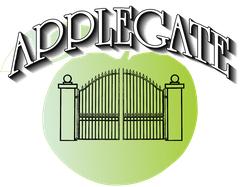 APPLEGATE Automated Gate and Door Systems supply and install manual and automated garage doors from all leading manufacturers at highly competitive prices. Established in 1996 our family run company also offer a same day repair service for manual garage doors and automatic garage door systems. We have been serving Surrey, Middlesex, Berkshire, Buckinghamshire and West London for over 21 years since 1996. Through a wealth of experience and dedication to excellence in our field, our company has built a strong reputation. We supply products from recognised brands that manufacture to the highest industry standard. We are an RGI (Registered Garador Installer) and a Seceuroglide Approved Installer. Automation for your garage door is of the highest specification and we use the product most suitable for your requirements. We facilitate a smooth transition from your initial enquiry, through the decision making process - making the right individual choices for your needs – to orderly progress through installation and commissioning therefore ensuring your complete satisfaction. A correctly installed and well maintained garage door offers many years of reliable and smooth operating service from your investment. All products fitted by Applegate are installed in compliance with current British standard and EU regulations and health and safety requirements. Highest industry standard quality affordable doors. A reliable system is a safe system protecting your home and all within. Our local family run company was established over 22 years ago. Our garage door installers have more than two decades of experience to fit the right door for you at your property. We are approved installers with Seceuroglide and have been Registered Garador Installers for more than 20 years. We also provide a same day repair service for our customers who require a fast and convenient garage door repair. Enhance the appearance and security of your home with one of our diverse range of garage doors.